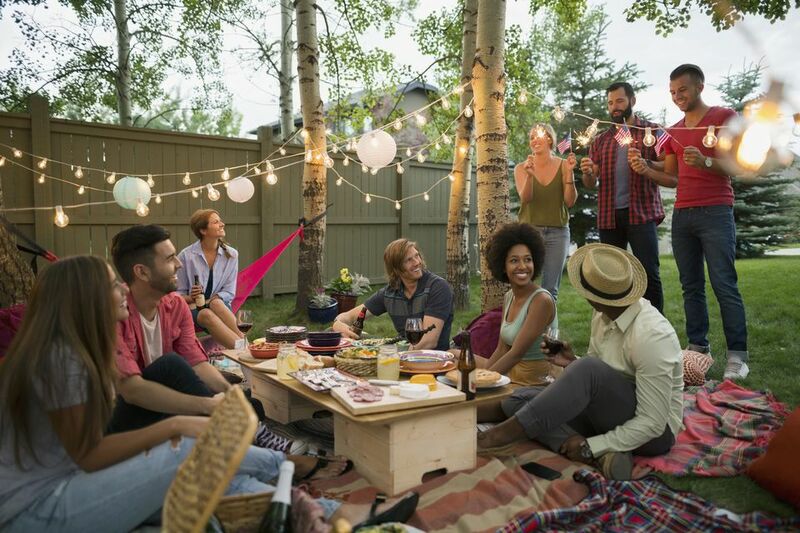 Whether or not you're entertaining this Fourth of July, there are plenty of easy ways to get in the spirit of the holiday. Don't be tempted by kitschy flag and firework paraphernalia–this summer take a laid back approach to our nation's birthday with a few simple, fresh and sophisticated home accessories. A white rug is always a bit of a risk–especially in a house with small children. 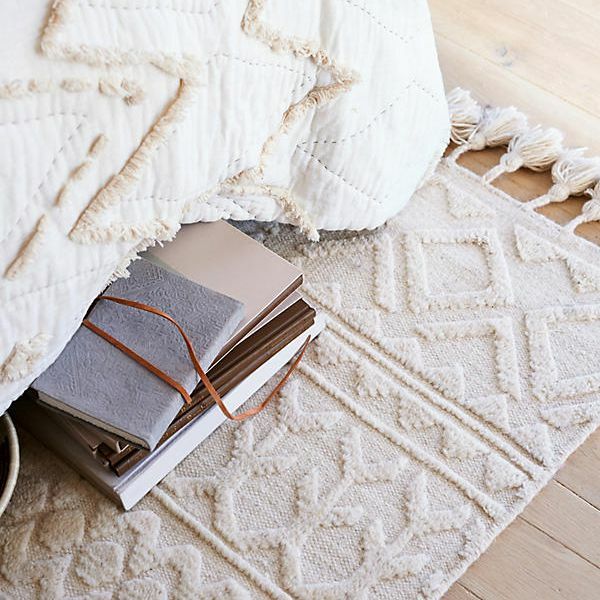 But this white textured rug from Anthropologie is too pretty to pass up on. The crisp color paired with the patterned texture is a chic way to dress up a living room for the summer. The drinkware collections from Kate Spade are always adorable–but these spiral printed highball glasses are especially perfect for a July Fourth Party. Stock your bar with these cocktail glasses and other supplies for some festive drinks and you can't go wrong! Sick of stiff adirondack deck chairs? Is your pool chaise breaking? This sweet and simple pouf may be your new best friend in outdoor seating. We love the subtle pink braiding on the edges, which adds the perfect touch for the Fourth of July. This beverage tub is the perfect addition to any outdoor party you host this summer. Made from durable stainless steel, this tub holds 24 quarts, which is more than enough room for your favorite session ale and spiked seltzer. Use this red striped table runner for a snack station or your dining room table for a July Fourth dinner. This runner is a more subtle patriotic nod to the holiday than a full–out flag tablecloth. What Are Some Cute Costumes to Put on Twins This Halloween?